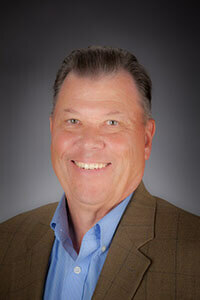 Tim has been involved in the real estate industry since 1976. His passion for the people he works with has established Tim as one of the top agents in the business. He takes the time to discover his client’s wants and needs and also educating them with all the details. With strong market awareness, and knowledge of numerous home financing options, he guides his clients through the home buying process with ease. Tim believes that honesty and attention to the needs of the clients has been key to his success and continues to provide both home buyers and sellers with the best representation possible. Tim provides services to both buyers and sellers from existing homes to new construction. Prior to his real estate career, Tim served as a Hospital Corpsman as an enlisted medical specialist in the United States Navy from 1966 - 1970 during the Vietnam Era. Following his military career, Tim worked in the savings & loan industry, where he gained experience in home financing and contract closings. This experience has allowed Tim to provide his clients with a valuable perspective and insight into both their financing and closing. What type of training do you have in real estate? I was a mortgage officer and wanted to work as a full time professional Realtor, and I wanted to help people achieve their real estate dreams. I would have to say, witnessing the happiness on people’s faces when they find that perfect home. Why do you call the Prescott area home? Personally, I am enthralled by the beautiful Arizona mountains and all the activity associated with them. And the friendly small town atmosphere and unbelievable year round climate make this area like no other. Any quotes about your hometown you would like to share?